Can homeschool really be easy? Guest Lea Ann Garfias says YES! on today’s Homeschool Thursday. I homeschool five children. Five. From elementary through high school. I have another homeschool graduate. Not only do I homeschool them all, but I write, speak, play the violin professionally, edit a homeschool magazine, and serve in my local church. I believe homeschooling can be easy. That’s why I wrote (cough, cough) Homeschool Made Easy and Homeschool High School Made Easy. I believe any mom who wants to homeschool can homeschool if she understands why she is homeschooling and how to simplify her day around that why. Homeschool moms choose this path for a variety of reasons: we feel led by God, our student needs special attention for learning hurdles or giftedness, we travel frequently as a family, we are concerned about safety in schools, and other reasons. Many times, however, when things get tough, we forget why we are doing this in the first place. When we forget our why, we lose our way. We no longer see our progress, our achievements, our success. We are distracted by disappointments, frustrations, and just plain old bad days. We want to quit because we lost our why. I am a homeschool graduate. I have homeschooled over a decade and a half. I mentor, counsel, speak to, and write for homeschool moms. And I have bad days once a week or more. Homeschooling is hard. If I did not write my why, pray over my why, and talk with my husband about our why on a regular basis . . . well, that yellow school bus would have five more passengers. I know why I homeschool: to instill my values, spiritually and morally, into my children through the time I spend with them daily giving the best academic foundation God enables me to achieve. I homeschool to pass on what God gave me. When we know what our why is, we see how to make homeschooling easy. God did not call me personally to co-op (though He may have you). God did not call me personally to lapbook (though He may have enabled you). God called me to pass on what He gave me to my children. So I put aside those things He did not give me (any crafting ability whatsoever) and focus on what He did: a love for Him and training in His Word, a love for the humanities and what they teach about God’s plan for His people, a commitment to a lifetime relationship with God, a love for learning. That means that while my friend hones in on the sciences with lots of labs and messes, I make science easy and understandable for my students. That means while my friend uses a great open-and-go history curriculum, I load up on the reading and enjoy long history discussions every week. That means while my friend spends quality time with her children doing hands-on activities and lapbooks, I take my children on tours of museums and art exhibitions. My homeschool is simple and natural for me because I focus on my why: passing on what God has enabled me to do. That does not short-change my students. Because I early focused on individual learning, my oldest son took off in math in high school, teaching himself calculus in one week and acing his exam. Because I invested in easy-to-use science curriculum, another son relishes that subject and regularly teaches me facts and principles. Focusing on my why and simplifying my homeschool around it makes my homeschool days easy. Ok, easier. There are still sibling quarrels, moody preteens, and headstrong teens. I still get sick and just plain tired. There are bad grades, bad attitudes, bad curriculum. But I can weather these hurdles when I keep my focus on my priorities. When a homeschool mom tells me she’s ready to throw in the towel, the first thing I ask her is why did you homeschool in the first place. Then I ask her what changed. Focusing on that priority – and making other simple changes in her methods and routine – can make all the difference. Then we can all homeschool with joy. Because that, too, is why we homeschool. 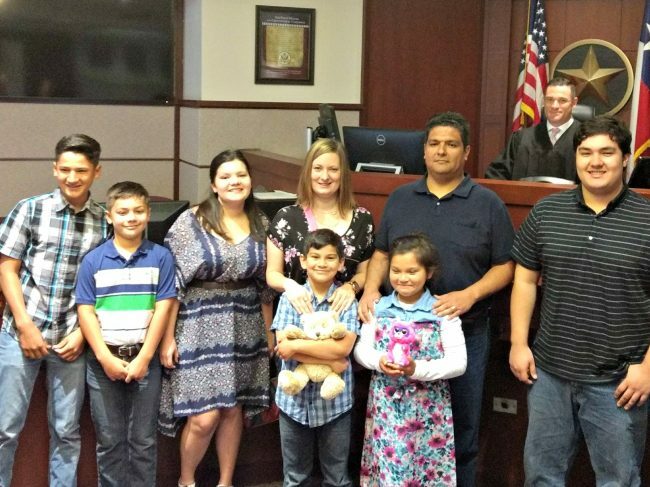 Lea Ann Garfias and her family at their adoption. Lea Ann Garfias is a homeschool graduate and homeschool mother of six children, one of them graduated and two of them adopted. 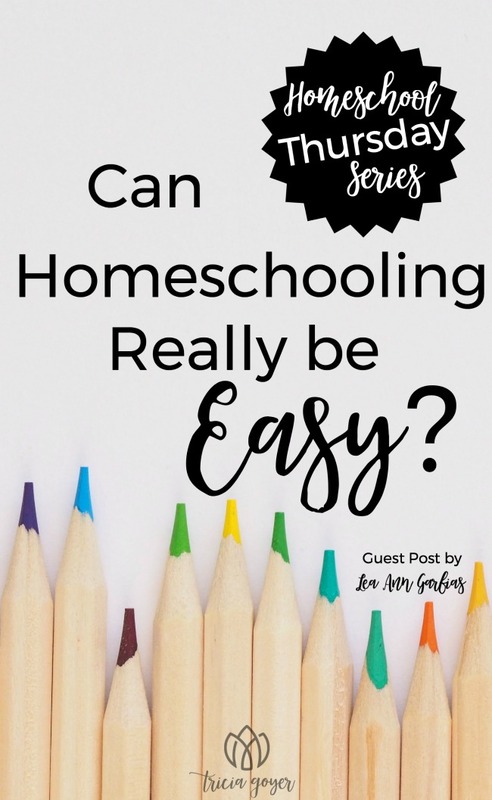 She wrote the Homeschool Made Easy series to share principles to make homeschooling easier. And she wrote Rocking Ordinary to show them how their daily lives make an extraordinary impact. She lives with her husband David in the Dallas area.